Renting portable truck and vehicle scales is an ideal solution for fulfilling immediate or short term needs for a vehicle weighing system. It may cover a short lived upturn in business to supplement an existing truck scale, keep a site running while a truck scale is being repaired, or perhaps just be needed for a short term project. Avery Weigh-Tronix's portable truck scales are designed for demanding applications such as road construction, mining, quarries, asphalt applications and many others. The factory stocks 30 ft modules which can be configured to meet all your needs; these can be used for 30ft, 60ft, 90ft or an even higher length truck scale configuration. Truck scales are available for short or long term rentals, where and when you need them, complete with Digital Indicator and Printer from a location near you. Renting portable truck and vehicle scales is an ideal solution for fulfilling immediate, short term (or even long term) needs for a vehicle weighing system. It may cover a short lived upturn in business to supplement an existing truck scale, keep a site running while a truck scale is being repaired or replaced, or perhaps just be needed for a short term project. Whether your business involves mining, road construction, asphalt installations, timber operations, construction, quarries or anything else, our range of portable truck scales provide the ideal solution for any vehicle-weighing requirement. It may cover a short lived upturn in business to supplement an existing truck scale, keep a site running while a truck scale is being repaired or replaced, or perhaps just be needed for a short term project. Factory stocks 30 ft modules which can be configured to meet all your needs; these can be used for 30ft, 60ft, 90ft or an even higher length truck scale configuration. 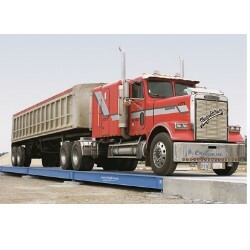 Our truck scales are ruggedly designed, self-contained, and totally portable with a 90,000# CLC & dual tandem axle rating with 3/8" steel deck and proven Weigh Bar reliability. Our truck scales come equipped with bulkheads and safety guide rails. Installation can be accomplished in as little as 4 hours; put down temporary piers, install the deck modules, grade material for a ramp, calibrate, and you're ready to weigh. Truck scales are available for short or long term rentals, where and when you need them, complete with Digital Indicator and Printer from a location near you. 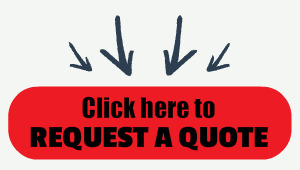 You can choose to rent our truck scales on a monthly basis or for a longer term depending on your requirements. The minimum truck scale rental period is one month. Some organizations who choose to rent over a long term, again to save capital expenditure and keep credit lines open for other areas of the business. It is the responsibility of the organization renting the truck scale to you to keep it operational, so maintenance will generally be built into the cost and if it cannot be repaired, it will be replaced.